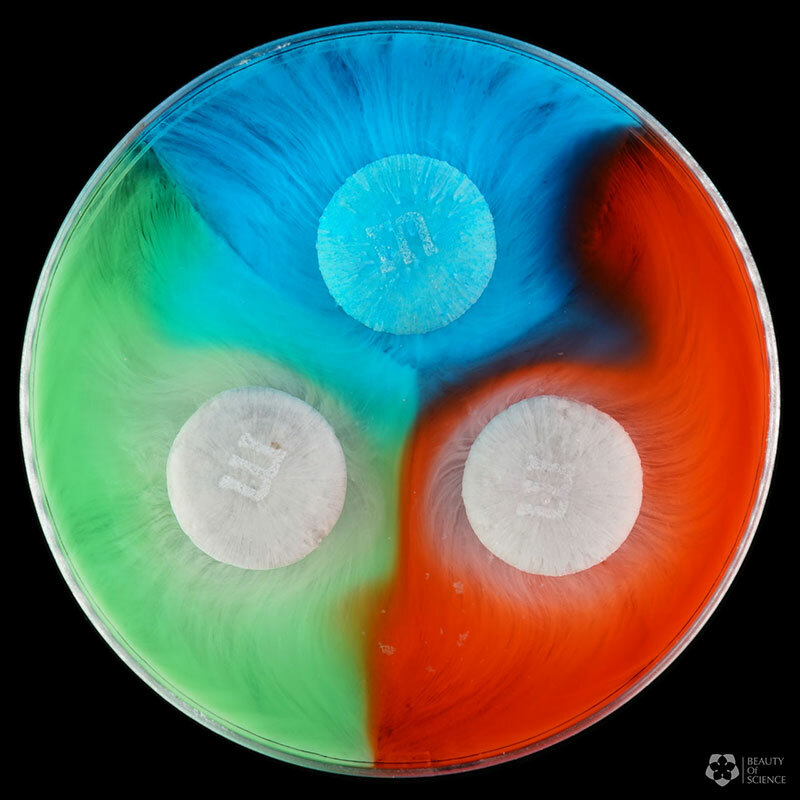 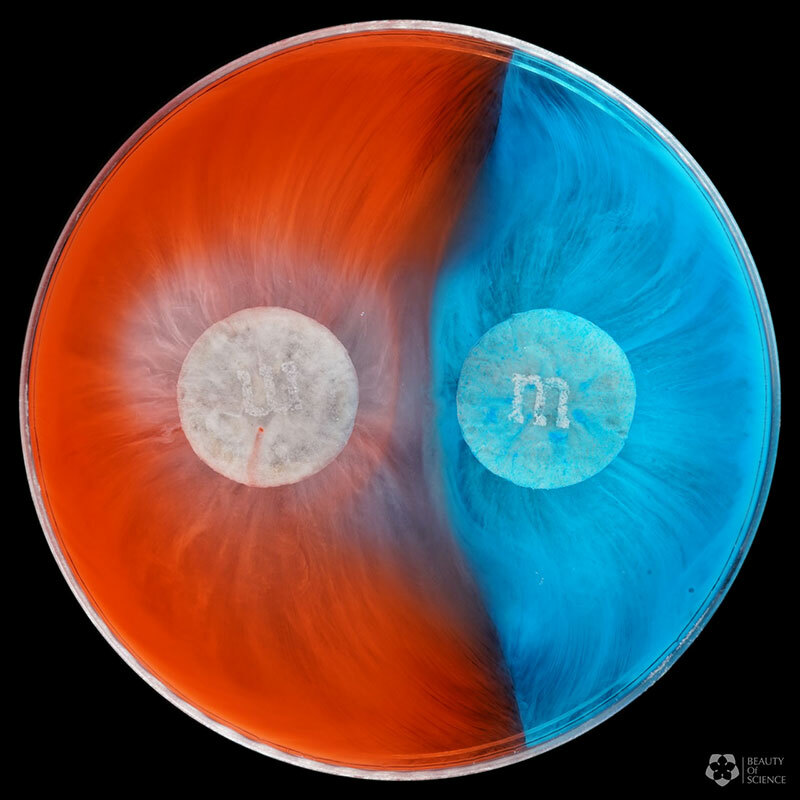 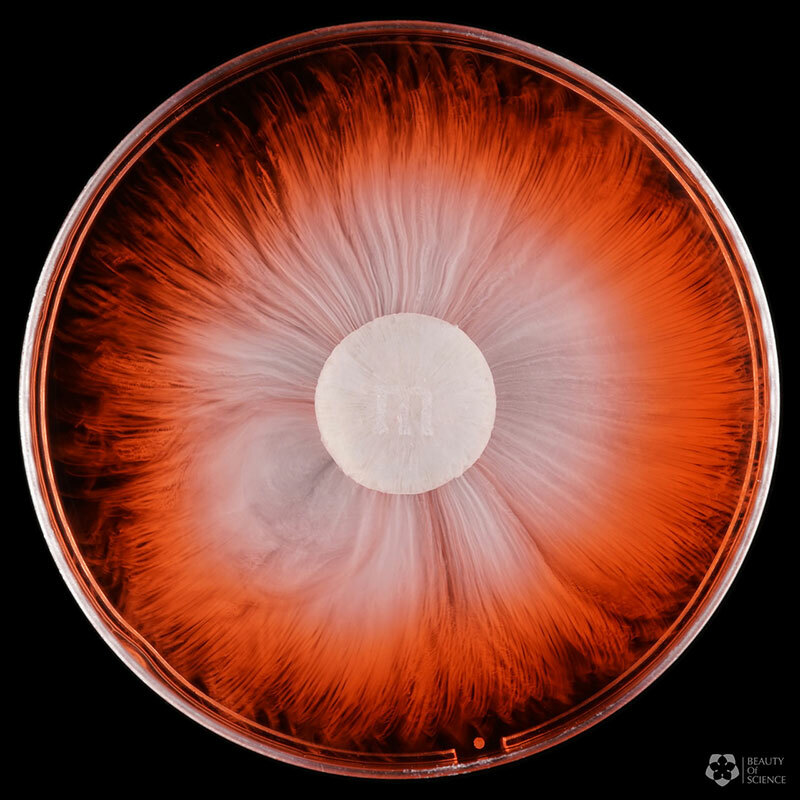 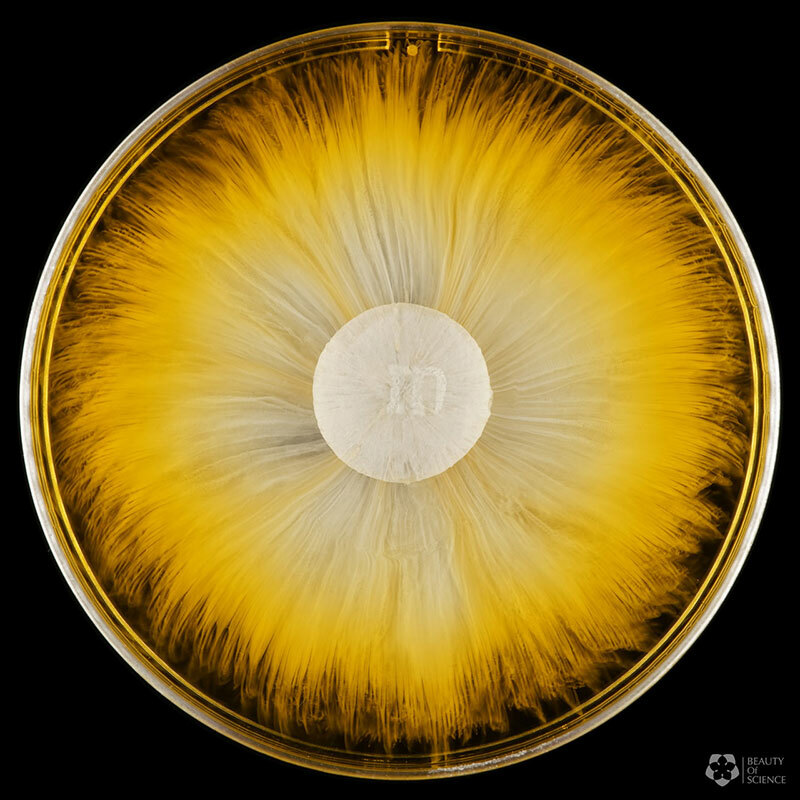 Beauty of Science immortalizes in video and pictures M&Ms dissolving in water. 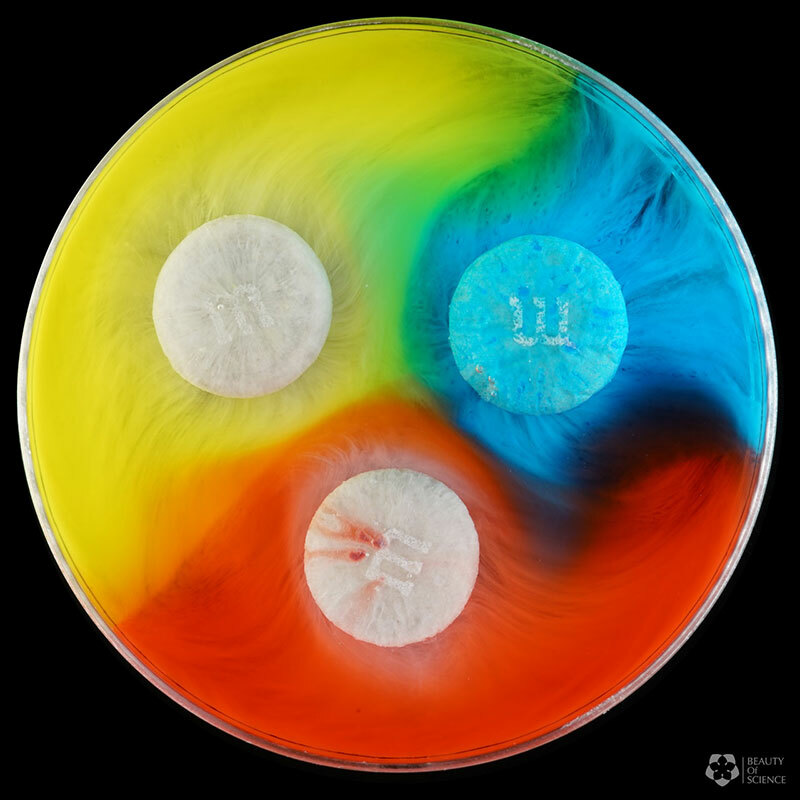 Their colors form colorful trails around the chocolate bonbons offering surprising graphic result. 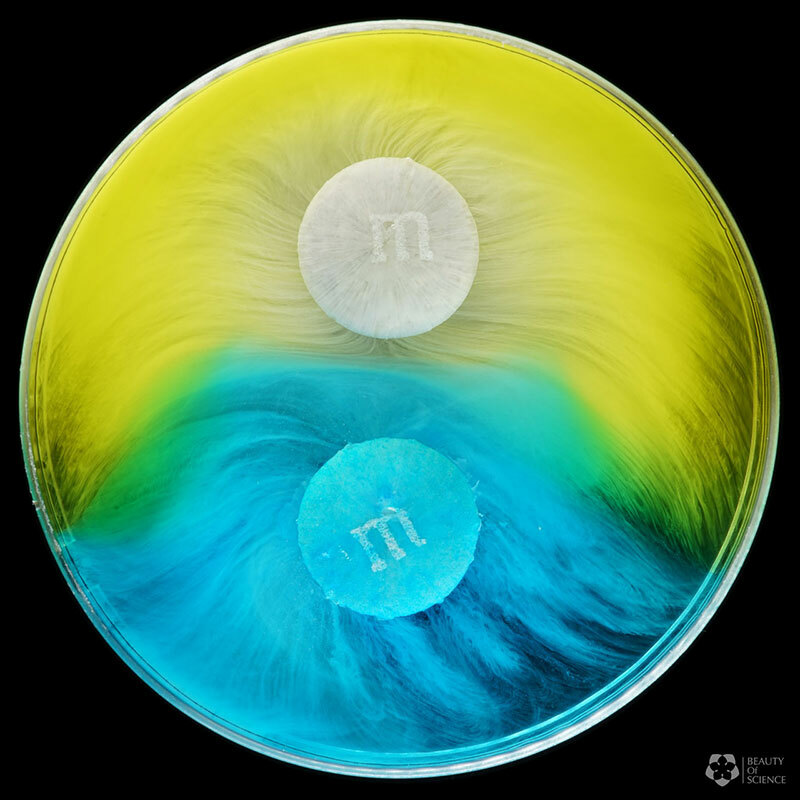 When M&Ms of different colors are together in water, colors have difficulties to mix.